This assignment should have been easy given that it was the 4th of July weekend. However, our holiday wasn’t as surrounded by patriotism as it usually is. We didn’t attend any parties (usually we’re invited to a handful of them), didn’t light or watch any fireworks and didn’t go to any parades. It was pretty much a quiet weekend given that we were recovering from vacation. So I had to stretch a bit. You won’t find any pics of flags or soldiers or bright lights in the sky. Instead my pictures are more a celebration of Americana. 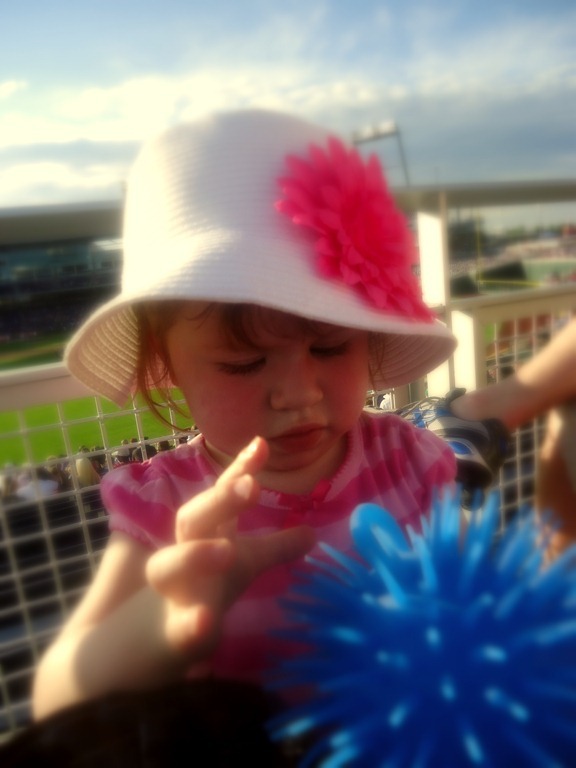 One way we celebrated was to attend the College World Series Home Run Derby at the new TD Ameritrade Park. We ate hot dogs and watched baseball. Only way we could have been more American is to throw in some apple pie! It was a hot evening and so we didn’t stay for the whole thing. But Isabella had a good time while we were there. This pic of her playing with a blue ball, wearing her hat and with the baseball field in the background seemed just perfect for a series on patriotism and America! 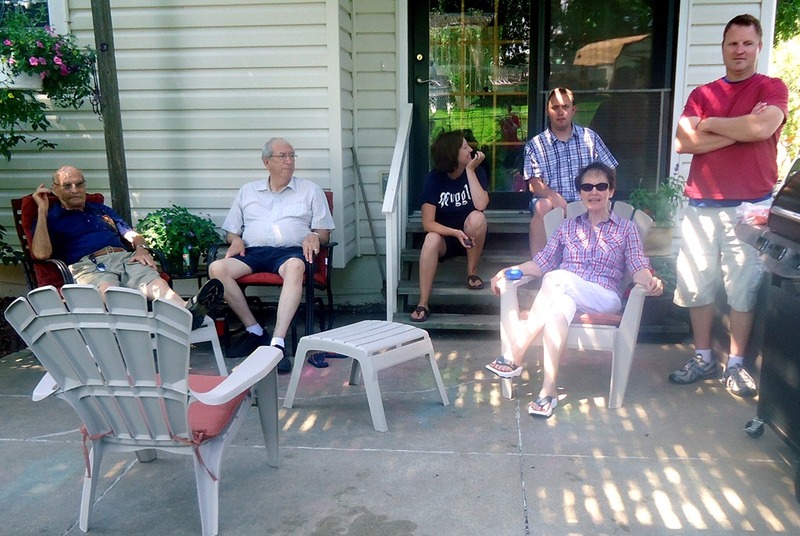 Our 4th of July day was spent with family. We went to my parent’s house and played outside before eating. The kids played in the pool while the adults played Frisbee. However, before the Frisbee game got going, the adults sat around watching the kids. I have a feeling this scene was played out in houses across the country – family sitting around watching kids play and fireworks go off. The kids loved playing in the pool. Even Isabella! 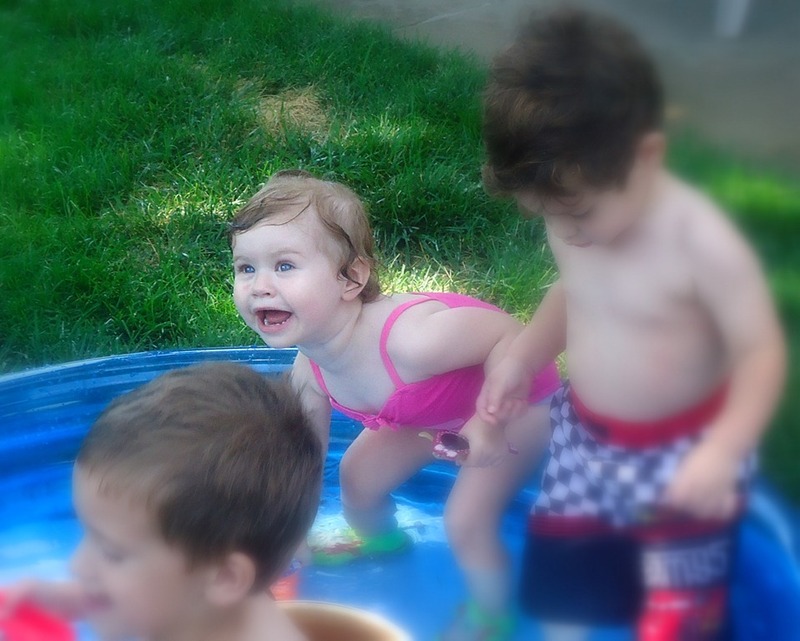 She seems to have inherited my innate fear of water so she was hesitant to get in. I finally got her to stand in it without crying and eventually she started enjoying herself. I was so proud of her. I know the fear she felt and I have never been able to overcome it. So the fact that she got in there and faced it was super awesome! I like this one of all the cousins playing. 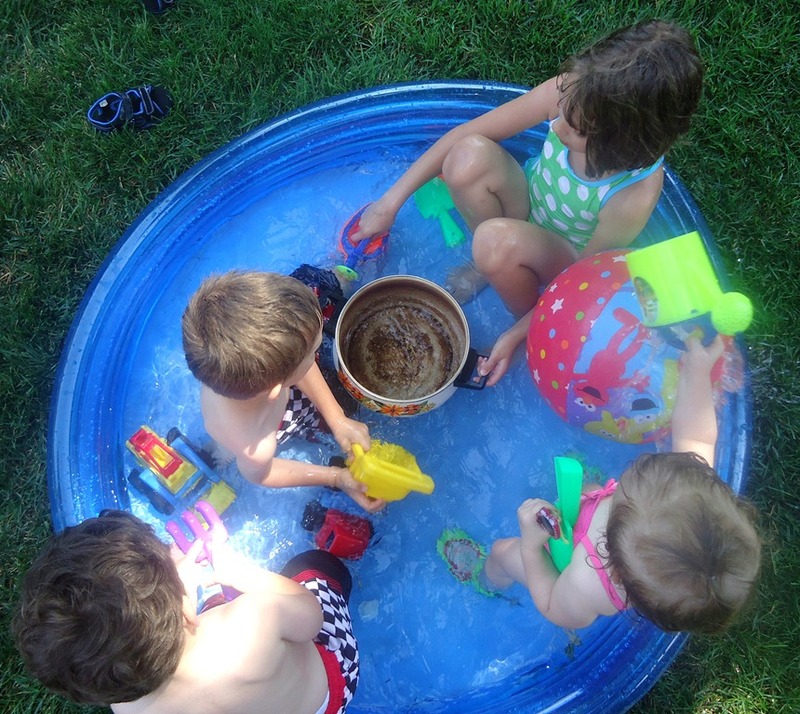 The 4 of them crammed in to the pool and splashing around! They were in there for a good hour too! I hope everyone else had a great holiday filled with celebrations of America and family! To see more patriotic pics, head on over to I Should Be Folding Laundry! Aww, I love the first picture at the baseball game! She is so darling. I think your weekend looks very patriotic!